The Walk Team exists to offer the opportunities that help with discipleship, accountability, integrity, and knowledge. Encouragement To Deepen Our Faith Through Study, Prayer, and Small Groups. We believe that following Jesus is a journey which doesn't end until we see him face-to-face, so we know that every person who comes through our doors is at a different place along the road of faith. To help you along the way, we offer you opportunities to grow along with us through prayer, training, and small groups. Regular classes meet to study the Bible and apply it to life, and special classes that will help you know what we believe and how to practice your faith are offered throughout the year. Small groups are always being formed, so all you have to do is inquire, and we'll find someone who will walk through life with you. The Life Groups of Westminster are the perfect place for discipleship. Each and every one of us deserves to be a part of a group that builds bonds based on shared experiences, loving support, and studying the Word of God together. Some of our Life Groups meet weekly, others a few times a month, and each group is very diverse. New Life Groups can always be formed to help you form the bonds that we know our Life Groups create. Leaders are standing by to form new groups to begin building new bonds of friendship and faith. 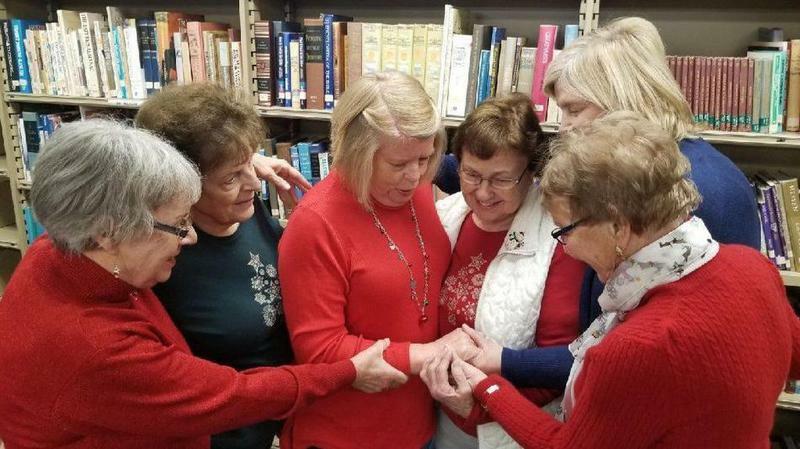 Faith Weavers Adult Sunday School Class - meets at 9:00 am in the church library; discussing the Standard Lesson Commentary. "Read Through the Bible"Class - meets at 9:00 am in the church lounge. Youth Sunday School - meets at 9:00 am in the youth group room downstairs. Women's Bible Study meet every Monday at 10:00 AM. We gather at 9:30 AM for prayer and announcements with the study beginning at 10:00 AM in the church library. Please join us - all women are welcome! Men's Bible Study meets on Wednesdays from 9-10 am at Colonial Cafe (1961 W Galena Rd, Aurora, IL 60506). All men are welcome to attend and increase their knowledge and understanding of the Bible and to help disciple other men on their journey with Jesus. We meet in various covenant partner's homes (alternating), the fourth Tuesday of the month. We meet at the church on the fourth Thursday of the month. WPC Glow Youth Group for Middle School and High School (6-12 grade) meets from 6:00-8:00 PM on Wednesdays at the church in our dedicated youth room. We also have an optional dinner from 6:00-6:30 PM. Westminster youth ministry (G.L.O.W.) exists to help students be the instruments through which the light of the Gospel of Jesus Christ shines and a glow that offers the light to those still in the dark. Our hope is that our students will not merely define themselves as Christians, but Disciples of Christ. Join us for a bi-weekly prayer group. The Prayer Team meets the 2nd and 4th Tuesday of the month from 10:15 to 11:30 am in the Lounge. Our focus is to share in intercessory prayer for our church--its members and their families and friends.